Although the construction of my guitars is quite traditional, my design aesthetic has more of a contemporary bent. An education in Interior Architecture and Design influences most every decision I make in regard to rosette and headstock design, end graft and back stripe detailing. 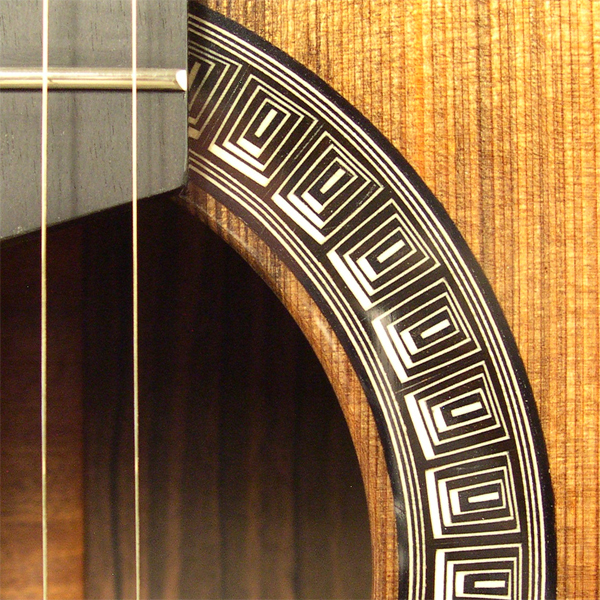 The classical guitar is a wonderful amalgamation, combining design, precise woodworking and structure to fashion a very lightweight object capable of withstanding very impressive forces. It also allows for the personality of the maker to shine through in the finished product and most importantly, the instrument can transcend function in the hands of an accomplished player to produce truly great art…music. Designing every rosette on my guitars, gives me the opportunity to add my unique signature. I estimate it adds an additional 8 – 10 hours to design and produce a custom rosette. Every artist or maker is inspired by something. Outside influences creep into one’s psyche and an idea is born. The goal is not to copy, but to reinterpret whatever inspires you to form something new. Since rosettes are normally just a ring of a repeated pattern, I find fabrics or other decorative designs to be a good source of inspiration. Though I rarely design furniture or interiors these days, I still subscribe to design magazines which I mine for ideas. 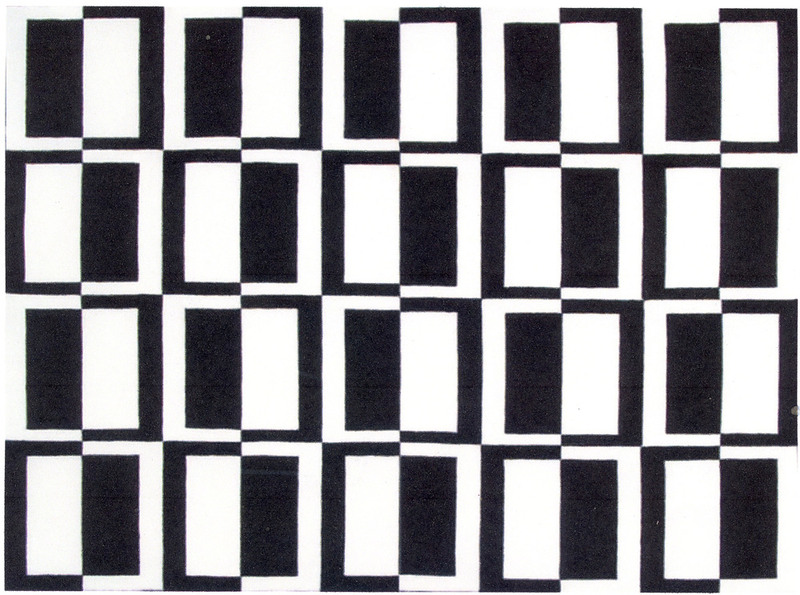 In the sequence above you see examples of a mid-century rug and a lampshade, both with the same pattern. With a little help from Autocad, I think I succeeded in this interpretation applied to a contemporary rosette. 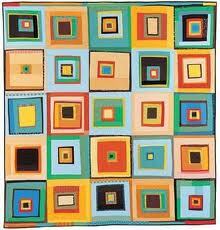 The next rosette shown below was inspired by the amazingly creative and “jaunty” patterns of the African American quilters of Gees Bend in Alabama. There is nothing subtle about these quilt designs, so I toned it down while trying to maintain the dynamic character in my rosette. The second image shows the process of generating options on the computer. Finally, this last example was inspired by an image of contemporary Japanese bamboo art by Higashi Takesonosai. When I looked at this basket detail I was quite sure that it would make an interesting rosette. The second image shows the sketch I made with reference to the source of the image in my library. In constructing the tiles in the rosette I chose to combine solid Ebony and Holly for their dynamic graphic quality. Inspiration is all around us. As Georgia O’Keefe said, “Nobody sees a flower, really – it is so small – we haven’t the time, and to see takes time…”.